Framed by the Majestic Slopes of Towering Mt. 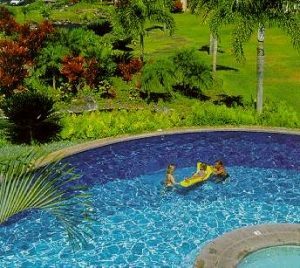 Haleakala and the Sapphire-Blue Pacific – Within the World-Class resort Destination of Wailea – the beautiful Palms awaits your Tropical Paradise Vacation Pleasure. 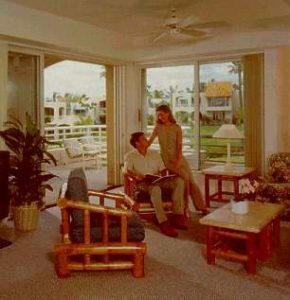 Majestic Ocean or Garden views and Spectacular Multi-colored Sunsets will delight your senses from the Private Lanai of your own 1 or 2- Bedroom Deluxe Condo Vacation Rental Suite. The setting is Incomparable. Stroll our Lush Manicured Grounds featuring meandering walkways and streams. Award-winning Beaches, Championship Golf & Tennis – with preferred Guest Rates – and the finest array of Shops & Restaurants are just moments away. While Lounging in the Comfort and Spaciousness of your own Condo Vacation Suite on Maui’s Prestigious South Shore, you’ll savor the fine appointments of your island getaway that features an Island-rattan motif, Large Lanais, Fully-equipped Kitchens, 2 Full Baths, Color-Cable TV , VCR’s and in-suite Washer/Dryers. Additional Resort amenities for your enjoyment showcase a Beautiful Pool & Whirlpool, Daily Light Maid Service and Preferred Guest Rates at the famous Waile Tennis & Golf Clubs. 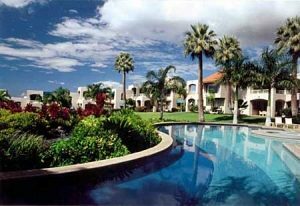 Our Wailea Vacation Getaway features your choice of Spacious 1-Bedroom, 2-Bath Condo Vacation Rentals that are approximately 1450 Sq. Ft. and comofrtably accomodates 4 Guests; Or Beautiful 2-Bedroom,2-Bath Condominium Suites that are approximately 1650 Sq. Ft. and sleeps up to 6. All Linens & Towels Provided.